Got it for my G29sf. A good buy for a good price. 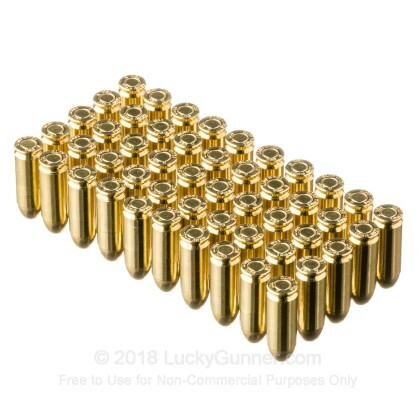 I thought it would be a pain to get my hands on 10mm rounds in bulk for a reasonable price but thanks to Lucky Gunner, problem solved. Will return for same exact purchase if available. 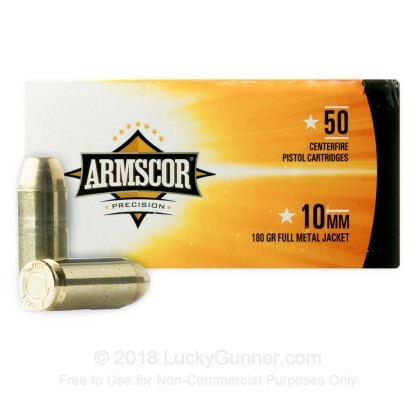 Armscor has always been a good product and this is a phenomenal price for 10 mm. No problems with the last 2000 rounds. 2 day shipping just completed a great deal! 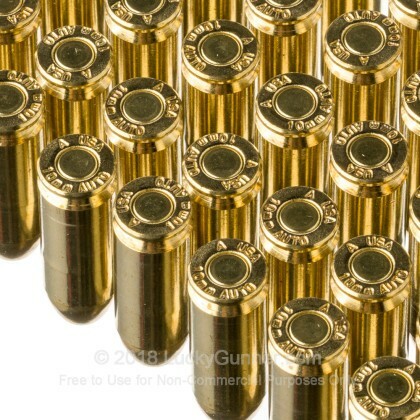 Great range ammo and no problems out of my Glock. This is easy to shoot and okay for the range. If you reload then all the better. Had little issue with it and cycles my Delta Elite Colt. Just understand that it is like the FedLight download 10mm the FBi went to for a short time before abandoning the caliber. Still well worth the money. If you are used to shooting double tap loads or Buffalo bore you will see the substantial difference in punch. Like the guide says it is good range ammo and will help make it less tiring to break in your 10mm. Ad always Lucky Gunner is tip tier in service and support. 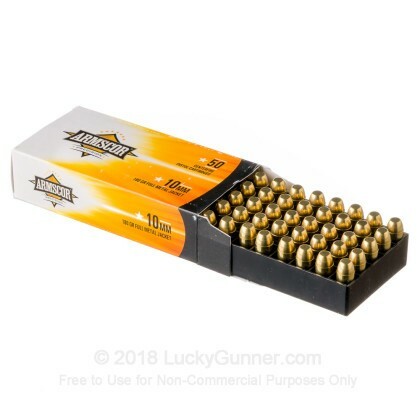 While I got this ammo locally (wanted to check it out first) I have used LG for years on my case orders and you can't go wrong. Always a nice day when you get a LG email to browse. Thanks LG for your great service and for being straight on the ammo data. I always learn something from the other posters so I figured l would pay it back. So happy to see the 10mm getting popular again. Sig now has a 220 all steel for this caliber too. Got to love the ten. Good for what ails you. Showed up on time as promised. 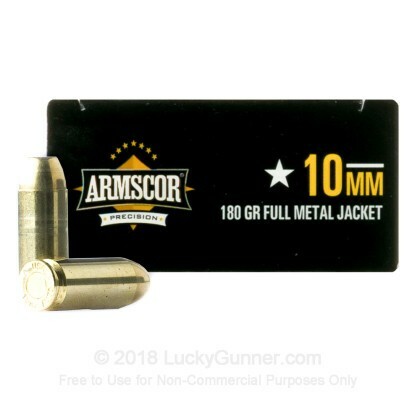 I have ordered and shot this ammo several times from LG and was happy, so time for savings on full case. 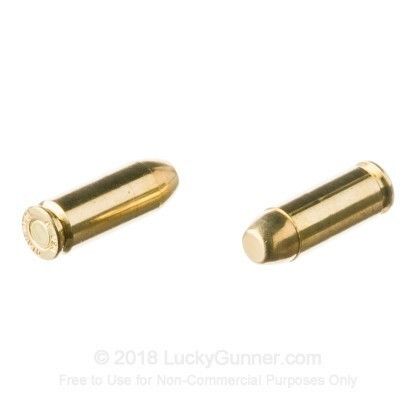 Typically good range ammo. I have had the occasional failure to load in my Kimber but not in my Glock G20. Usually pretty clean, but had 1 box that shot a little dirty. Typically shoot 100 rounds and gun stays pretty clean. Nice power, would like to know specs. though. Q: What is the estimated FPS of this ammunition? A: Hello Bill, Armscor lists the muzzle velocity of this round at 1150 fps.